For an insulation contractor in Mulberry, FL you can trust, contact us at Polk County Insulation. 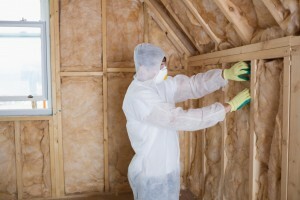 Choosing an insulation contractor to work on your home is an important decision. You want to make sure you find someone who will provide quality work with an assurance that your house will be well-insulated for years to come. At Polk County Insulation, we would like to be your Mulberry, FL insulation contractor. We pride ourselves on satisfying our customers and providing quality workmanship on every job. In the 20+ years that we have been in business, we have always aimed for 100% customer satisfaction and have will never fail in that respect. Inexperience – A quality insulation contractor will have years of experience with the products they use and have knowledge about the ones they don’t, so they can easily explain the differences between products. Hard Sell Tactics – If any contractor is pushy and tries to oversell you, your best bet is to look elsewhere. Honesty and integrity will always give you a better experience overall. Unsolicited – Someone coming up to your door saying, “We’re in the area and thought you might need some insulation” is almost always not your best option to go with. A trusted contractor doesn’t need to drive business in this manner. A free estimate regarding your insulation project. Don’t be one of the 90% of homes in the United States that suffer from under-insulation. Make your home a comfortable place by ensuring it is well-insulated. With our high-quality materials and expert laborers, we can make sure your home is insulated correctly. We offer competitive pricing, so be sure to call for your free estimate and see what we can do for you. For an insulation contractor you can trust, contact us at Polk County Insulation. We’ll be there for all of your insulation needs.